Any behavior that may interfere with the enjoyment of the mall for the other patrons and tenants, this includes, but not limited to; no soliciting, canvassing, loitering, running, horseplay, scavenger hunts, fighting, using profanities, playing music, etc. Engaging in any unlawful activity or behavior is prohibited. No animals are permitted within the mall, with the exception of properly identified and/or licensed service animals. Please be advised that surveillance equipment is on-site, and activities may be monitored. Wearing disguises (ie. Masks, balaclavas, face warmers, hoods, bandanas, etc.) in the shopping centre is prohibited. Distribution of flyers or other literature is prohibited. Congregating in large groups so as to interfere with mall traffic is prohibited. Using mall property such as tables, chairs, trash containers, etc., for other than their intended use is prohibited. Taking photographs or videotaping on the property without prior permission from management is prohibited. 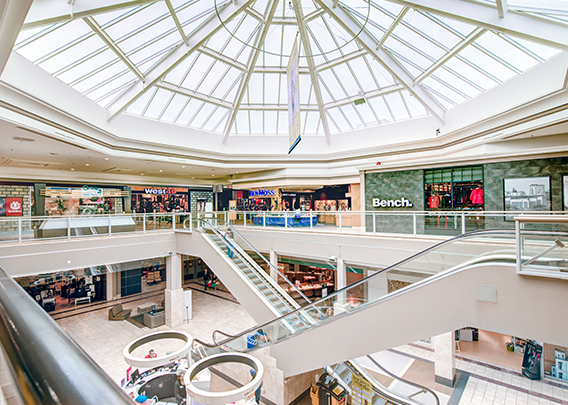 Mic Mac Mall (including all components, parking facilities and exterior property) is privately owned. We hope that you enjoy your visit and thank you for your continued patronage.